Comprehension is the reason for reading. If students can decode words accurately but don’t understand what they’re reading, they’re not really reading. Good readers are purposeful and active. They may read to learn more about their favorite athlete, to complete a school assignment, or just to enjoy a good story. To make sense of what they’re reading, good readers engage in a complicated process. They use their vocabulary, background knowledge, and prior experience as readers and listeners to make sense of the text. 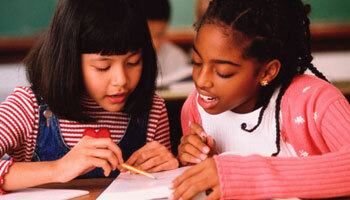 They know when they have problems with comprehension, and they have strategies to resolve those problems as they arise. Teachers can play a critical role in helping students develop their comprehension skills. Reading research has shown that comprehension instruction can help students do a better job of understanding and remembering what they read. Good instruction can also help students communicate with others, verbally and in writing, about what they’ve read. In Salt Lake City, teacher Margaret Barnes uses a framework called CORI (Concept Oriented Reading Instruction) to teach reading comprehension skills to second and third graders.